All are invited to join in the weekend parade action! They both start at the corner of G and 7th Streets at 1pm. Music and Dance to keep the spirit of biodiversity alive! The theme for this year is Resilient Species Bounce Back! To participate in this year’s parade, meet in the Tri-Counties bank parking lot at 12:30pm on Saturday, September 15. Bring a costume, mask, make-up, sign, banner, or some other way to celebrate! Bring friends, family, or co-workers. Local groups can match in the same species to represent their organization. Make a mask or costume pieces at our free upcycled craft zone, located at the corner of 8th and G Sts. 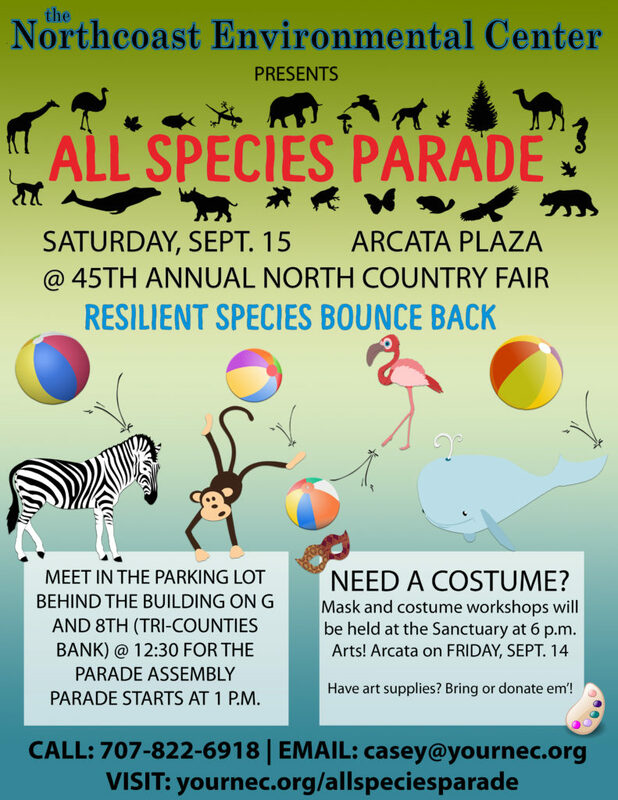 NEC staff will be present and at 1pm will lead the parade in a march around the Arcata Plaza. A free workshop will be held at the Sanctuary on Friday, September 14th, during Arts! 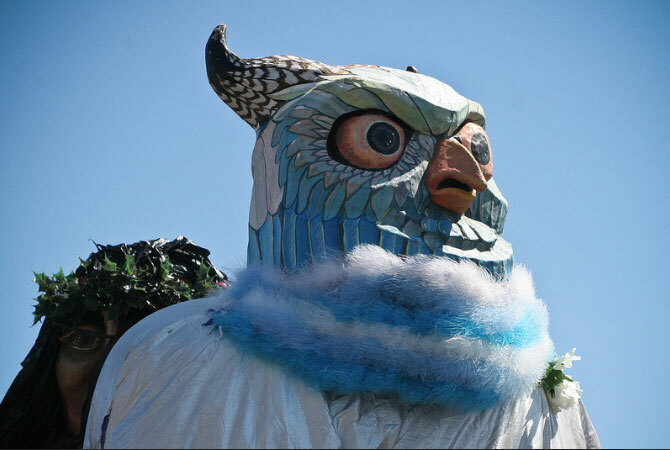 Arcata to make masks and costumes. Come by that evening from 6-8pm with whatever supplies you have and a species in mind! An artists will be available to help you bring your vision to life! Click photo above to see more pictures of the All Species Parade, courtesy of the Northcoast Environmental Center. Want to join in the parade? Come drum with Samba da Alegria every Sunday at the D St. Community Center. Rehearsal is from 2-4pm or come at 12pm if you are a beginner in need of extra practice. Click photo above to see more pictures from the fair! 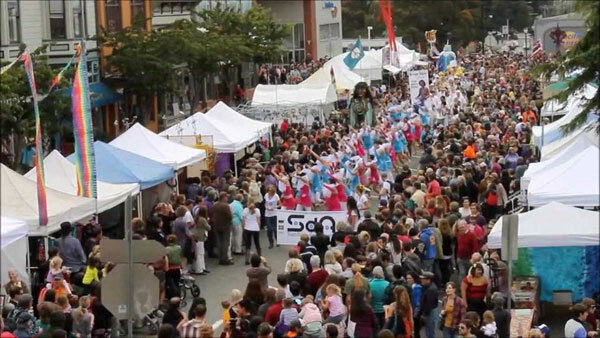 The North Country Fair is produced by The Same Old People, a 501(c)3 nonprofit based in Arcata California.